Preparation is the starting point of every successful online fundraising campaign. Before you can begin asking people to donate online, you need to gather high-quality photos and write the story or biography that will teach potential donors about your campaign. It is also a great idea to combine these elements into a video. The best part about creating a video to teach people about your online fundraising campaign is that you can do so without having any technical skill. Any smart phone comes equipped with a camcorder option, and you can use that to create your video. There is no need to worry about perfection; the point of your video is to help people understand why you are trying to raise money online, and your donors understand this. 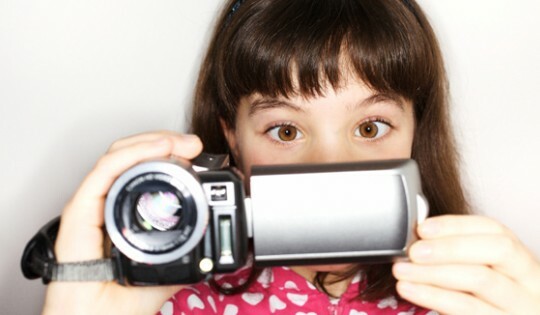 You can always work to improve your skills for future fundraisers by shooting more videos in the future. Whether you are still learning how to fundraise or if you have successfully been able to raise money online several times, being on video can be intimidating. Keep in mind that you aren’t acting; the goal is to be yourself and explain why you are organizing your fundraiser. You can have the best fundraising ideas in the world, but if you fail to put a face to them, then some people will feel less comfortable with the idea of donating. People like to see other people representing their fundraising ideas and other products, so put aside any of your shy urges, and address potential donors clearly during the video. Once they see that you are a real person with a real vision, they will be much more likely to donate online. Although people do want to see your face in the video, you should also incorporate imagery that represents your fundraiser as you discuss your cause. For example, if you are hosting a fundraiser to raise funds for a sick animal, then you should show pictures of the animal in your video. This will instantly provide viewers with a more emotional attachment to your project. Donors are often concerned about exactly how their donations will be used. During the video, make sure that you explain your plans for the funding in full detail. By putting this information both on the video and in text on the fundraising page, potential donors will feel more confident about your fundraiser. If you find yourself stuck during the process, remember that no one expects perfection from your video. You can also turn to your family and friends to give you ideas. Some of the people in your life may have no idea how to fundraise, but shooting a video may be a specialty of theirs. Therefore, always ask for help if you need it. Adding a video to your fundraising page is a fantastic way to reach potential donors. By incorporating the story of your fundraiser, relevant imagery and the personal touch of speaking directly to your audience, you will make donors feel more comfortable with your project. There is no need to stress about creating the perfect video because people want to learn about your message more than anything else, but always reach out to your family and friends for suggestions and assistance if you feel really stuck during the video creation process. Our donation website DonationTo.com is the place for people who learn crowdfunding by getting acquainted with our tips on making videos for your very cause. To know how to crowd fund and keep all donations sign up this donation website.